It provides the comprehensive coverage of the current affairs that happened in December 2015. 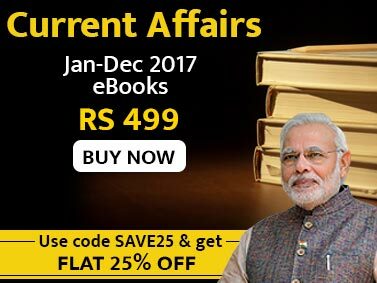 It covers the current affairs of December 2015 with ample background and provides a detailed analysis of all the national and international events. The December 2015 eBook will be of immense help for the candidates preparing for forthcoming exams. 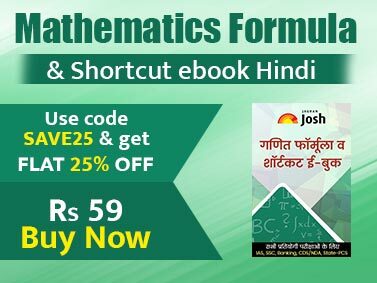 The eBook will be handy for the forthcoming exams like IBPS CWE PO/MT –V (Main) Exam, IBPS CWE RRB - IV, Combined Defence Services Exam (II) 2015, NDA & NA Exam (II) 2015, Indian Economic Services/Indian Statistical Services Exam 2015, Combined Geo-Scientist & Geologists Exam 2015, Engineering Services Exam 2015, Combined Medical Services Exam 2015, Civil Services (Mains) Exam 2015, Central Armed Police Forces (AC) Exam 2015 and others. The December 2015 eBook is the result of effort of experts in competitive exams and covers the current affairs from the field of national, international, economy, corporate, sports, science & technology, environment & ecology, awards/honours, books/authors, committees/commissions, reports/surveys, and other important current affairs.